Developers today have the technology to build whole galaxies, rewrite the laws of physics and construct impossible feats of architecture. With all the advances of the past decade, it's easy to forget how it was only during the PS2/XBox-era that consoles were able to produce so much as convincing human beings. Once, seeing Mario represented in chunky polygons was enough to blow our minds. Now we take in globetrotting adventures like Uncharted 2, inter-planetary sci-fi dramas like Mass Effect and collaborate with distant friends in conquering fantasy worlds and dungeons in World Of Warcraft without raising an eyebrow. But with every new standard set, gaming becomes a medium less reliant on those leaps of imaginative faith that made Hyrule feel so real in Ocarina of Time or our first steps into the fog-shrouded town of Silent Hill so terrifying. For many, returning to those games that etched themselves into the tapestries of our childhood can be a dispiriting experience, discovering that the seams which tied our favourite worlds together have in old age become garish where they used to be invisible. Modern gaming presents us with worlds that are real first to our eyes, rather than our minds. Yet by seeking to draw in the player through technology rather than imagination, it becomes all the more important that developers, in their desire to create increasingly vast and dramatic landscapes, do not forget the small details that can be the difference between a player accepting or rejecting the worlds they are presented with. 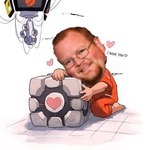 This blog is a tribute to one of those small details, one easy to overlook but so important in giving a game, no matter how outlandish or fantastical, the anchor it needs for its players to accept it. Hearing the sound of our character's footsteps in the gaming world gives a constant aural confirmation that our actions are having a direct and noticeable impact on the game world. The means by which those actions are instigated is so artificial that having such a reminder can be an invaluable aid in shifting the focus of our minds from the real world looking into the game, to the game being controlled on an instinctual level in the real world. That sounds pretentious, but think back to a time when you were playing a game that just didn't grab you, where you wanted to feel involved by the action but found something stopping you at each turn. Every time I've found myself in that situation, my mind can't find its way out of the real world and aware that it is looking at a screen rather than being transported inside my character's head. It's true that the sound of footsteps is only one of a multitude of such details which can make that difference, but of those details it is one of the few directly affected by the player and thus one of the most important. Think of how distracting it would be were a developer to get that sound wrong: if a heavy-built character's footsteps were light and dainty (would BioShock's Big Daddies have been so intimidating without that echoing metallic clank signalling their arrival?) or if the sound produced underfoot was the same whether the ground was made of metal, cement or grass. Getting those sounds right gives the player a sense of presence in a world and makes that world feel more real through the sounds it produces. If a player's avatar is unable to form a convincing relationship with their reality, then how can the player be expected to do so through them? Developers have on occasion been wise to the importance of footsteps within a game world and integrated them into gameplay. 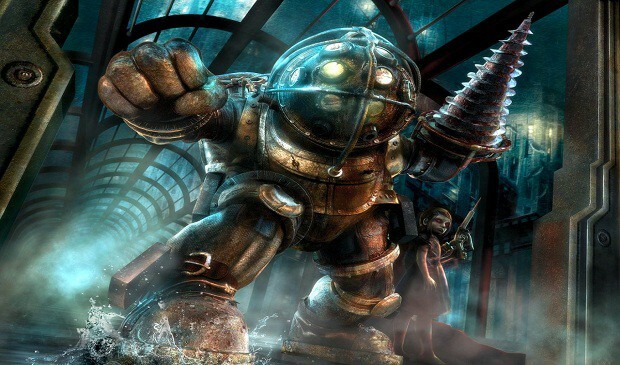 I've already mentioned BioShock, where the thud of Big Daddy footsteps allows you to work out their position and prepare an attack based on their location even if off-screen. Many stealth games have used the sound in a similar way, whereby the player is able to time their attacks or evasive manoeuvring by the footfalls of a nearby guard � one of the earliest examples that springs to my mind is in Perfect Dark on the N64, where the player can access a secret weapon by not being detected in the early stages of an infiltration mission and has to listen from behind various doors to work out where the guards are on the other side. The multiplatform shooter XIII visualised this element, at the same time referencing the game's comic book roots, by having the 'tap tap tap' of enemy footsteps literally written on the screen. It can also work in reverse: walking across a loud metal surface while trying to go unnoticed can make every step an exercise in phenomenal tension. 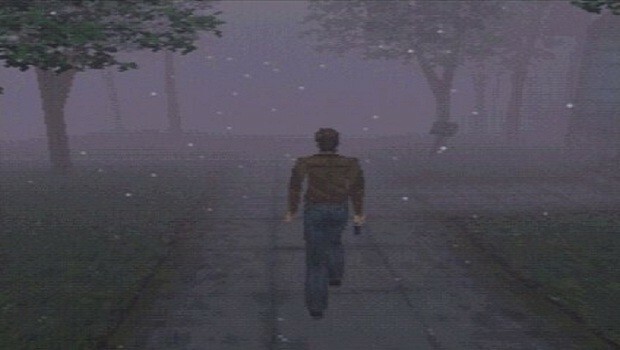 This trick is also used effectively as an atmospheric device in many horror games, where a character's footsteps echoing into the otherwise silent darkness serves as a constant reminder of their vulnerability, turning the immersive quality of the sound effect back against the player. When the game decides to hint at the presence of some unseen foe, suddenly the sound of those footsteps only becomes louder and more treacherous. For all that I've said above, often we only realise how important something is when it is taken away. Ice-Pick Lodge used this to harrowing effect in The Void, where the player's movement is completely silent throughout. The resulting sense of alienation and intangibility heightens the terror of being thrown into a netherworld between life and death, constantly battling for your corporeal existence. 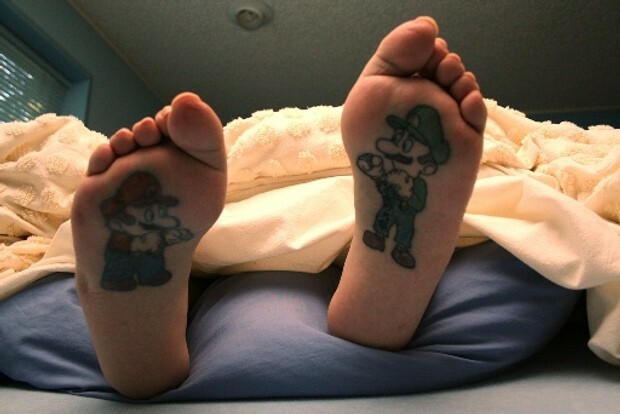 By not giving the player the safety net of a new name or proof of even having a body in the game world, the loss of footsteps becomes a disheartening reminder of your absolute lack of identity. With that in mind, let's just this once celebrate something other than the latest display of astounding graphical spectacle, or the most enthralling stories or thrilling action, and give a nod instead to one of the little touches so easy to overlook, but vital to the absorbing power of our gaming experiences. Developers may now be able to put entire universes at our fingertips and give us the power to battle armies of over one million troops, yet we should remember to be thankful not only for all those amazing sights, but also being able to hear every one of those steps forward. ADDENDUM: I have a tough time coming up with my subject this month as everyone seemed to cover my original ideas before I had the chance! Kraid, LawofThermalDynamics and Om Nom all lived up to their usual high standards with pieces exploring the power of silence, while yesterday The Escapist's weekly 'Extra Credits' feature produced a sterling video on whether orchestral gaming music will ever be as iconic as its 8-bit counterpart, another topic I had been musing. It's a fantastic video, containing many of gaming's most memorable theme tunes classic and modern, so I urge you to give it ten minutes of your time!